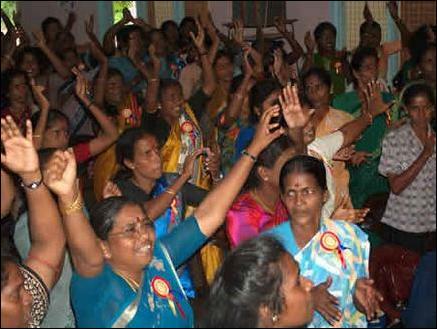 An event to bring together several women’s development organizations in Mullaitivu was held on Saturday at the auditorium of Vithiyananda college, and more than 500 women from the district participated, sources said. The head of the Martyr’s office of the Liberation Tigers of Tamil Eelam (LTTE), Mr. Pon Thiyagam, and the Mullaitivu district political head, Mr. Muhunthan, inaugurated the meeting. 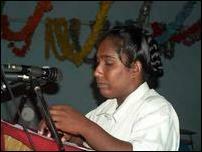 Mrs. Vathana Amma, the mother of LTTE martyrs Capt. Meeran and Lt. Isaivanan, lit the flame of sacrifice in front of the photo of Lt. Malathy, the first woman cadre of the LTTE to die in combat. 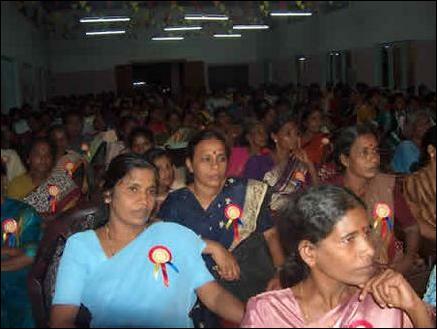 The event was presided over by the head of the women’s association in Puthukidiyiruppu. “Society is forgetting that women have skills, self-confidence and the ability to earn. Women should swim against such tide. Women may encounter a lot of adversity and grief in life. They may lose their husbands or parents and be forced to be the sole breadwinner for the family. 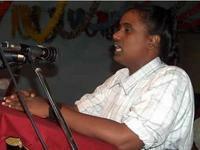 We should prepare ourselves to face any challenge in life and become accomplished women, ” said Ms. Thamilini. Ms. Imelda Sukumar, the Government Agent for Mullaitivu, spoke on how by starting small handicraft businesses, women could become independent and stand on their own feet. “Women should prepare themselves to face challenges and show their strength by overcoming challenges. It is important to hold events like this to bring out women who are confined to their homes,” she said. In the afternoon, the participants were divided into groups and the women were given the opportunity to tell their problems openly. 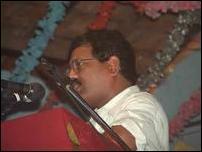 Mr. Anparasan, the head of the Tamil Eelam Village Development division, spoke. He said that in ancient times women used to be head of household, but as times changed, women were relegated to a different role and they could not develop their personality and leadership skills. Ms. Thamilini explained the action plan to be implemented at the village level by the women’s association in every village. 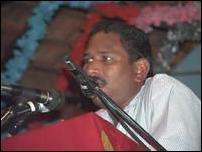 Mr. Muhunthan said that women in every village should become unified in solving problems. "The village women should be trained to develop self-confidence and economic self-sufficiency." The Mullaitivu district women’s political wing leader, Ms. Thamilnilavu, explained the purpose of the event, how the action plan should move ahead and the resolutions adopted at the event. The resolutions included promoting education that does not discriminate against women, imparting social awareness to men and women through continuing education, improving the economic status of village women through education and training via the village level women’s associations, and creating a volunteer force to take forward the work plan with deep understanding of the issues and motivation to accomplish goals. 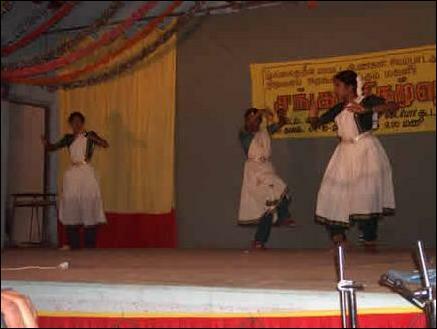 The event ended with a cultural program at 8:30 p.m.